what benchmarks can you hit with marty? 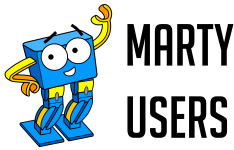 We have detailed what benchmarks you could be hitting by using Marty the Robot in the classroom. Marty isn't just a fantastic and engaging tool for Computing but for other subjects like Maths and Science! We detail what benchmarks you can hit with each of our individual lessons. You can find this below, organised by curricula.